The number of weapons released in Afghanistan by the Air Force, other U.S. military services and allies hit the highest level in seven years in September. The coalition last month released 751 weapons against the Taliban and ISIS-Khorasan, an affiliate of the Islamic State group, a 50 percent increase over the 503 released in August, according to statistics posted online by United States Air Forces Central Command. It represents the most bombs dropped since late 2010, when the bloody Battle of Sangin raged. The coalition dropped 739, 1,043 and 866 weapons in September, October and November of that year, respectively. 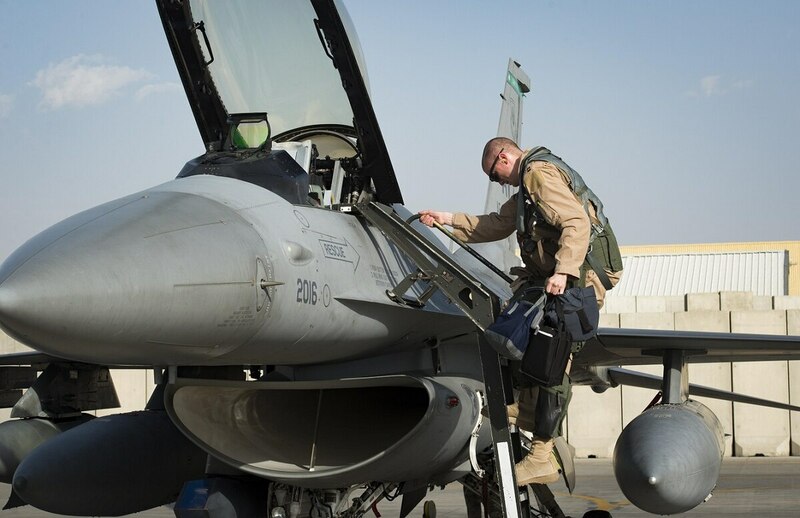 AFCENT also said that the deployment of six additional F-16s to Bagram Air Base ― bringing their total to 18 ― contributed to the increased pace of airstrikes. The Air Force is also sending B-52 Stratofortresses on more missions to Afghanistan. In a roundtable discussion with reporters at the Air Force Association’s Air Space Cyber Conference last month, AFCENT commander Lt. Gen. Jeffrey Harrigian said the Air Force is working with the staff of Army Gen. John Nicholson, commander of U.S. forces in Afghanistan, to figure out how best to use the additional air power deployed there. Harrigian said the F-16 deployments were planned before the administration’s new Afghanistan strategy was announced. Harrigian also said at the conference that the B-52 has been flying several times a week on missions to strike ISIS in Iraq and Syria or to Afghanistan. As the military works toward fleshing out the administration’s new strategy in Afghanistan, the Air Force is deploying more planes and looking for more efficient ways to use them. So far this year, coalition aircraft have dropped 3,238 bombs on Afghanistan. That is already more than any other full year since 2012, and if airstrikes continue at this pace, 2017 will easily surpass the 4,084 weapons released in 2012. Get the military's most comprehensive news and information every morning. By comparison, there have now been 100,000 weapons released against ISIS in Iraq and Syria since Operation Inherent Resolve began three years ago. Weapons released against ISIS there dropped to 3,550 in September, down from the record 5,075 released in August. With the help of allied air power, allied Syrian Democratic Forces have driven ISIS from about 75 percent of the city of Raqqa, the militants’ de facto capital, according to the AFCENT summary. The SDF are also clearing ISIS from the Khabur River valley northwest of the city of Deir ez-Zor. For the first time since the war against the Islamic State began, U.S. and allied aircraft in August released more than 5,000 weapons in a single month. However, the forces of Syrian President Bashar al-Assad are also advancing on Deir ez-Zor. Their proximity to the coalition’s ground forces increases the risk of “strategic miscalculations” that could lead to accidental airstrikes or ground fire, according to AFCENT. Officials from the coalition ― including air planners from the Combined Air Operations Center ― and the Russian military have met in person to refine their de-confliction processes to avoid such mistakes, AFCENT said. “The discussions emphasized the need to share operational graphics and locations to ensure the prevention of accidental targeting or other possible frictions that would distract from the defeat of ISIS,” AFCENT said. The statistics provided by AFCENT do not account for all coalition weapons released, meaning the actual number of weapons released could be higher. The summaries cover aircraft under the control of Combined Forces Air Component Commander, or CFACC, which includes aircraft from all U.S. military branches and coalition aircraft. But not all aircraft in the area come under CFACC control. Strikes conducted by attack helicopters and armed drones operated by the Army are also not included in these statistics.